This year’s conference brought 440 people from around the globe, approximately half of them grain and energy buyers. The exhibition halls at the Minneapolis Hilton were buzzing with networking and deal-making. Craig Willis, the senior vice president for global markets for Growth Energy, waxed enthusiastic about the potential for growth in ethanol and DDGS sales worldwide in the next decade. And of course, he mentioned to the assembly the recent announcement from the Trump Administration that it would support a move to year-round availability of E15 in the United States. If and when this is realized, it could generate an additional 7 billion gallons of ethanol demand in the United States. As important as this announcement was, Willis wants American ethanol producers to also focus on the development of global markets. The U.S. Grains Council is a major partner with Growth Energy in this global effort, Willis said. Globally, ethanol has captured 7.8 percent of the gas pool, according to Willis. The United States is the number one market with its 143 billion gallons of gasoline sales out of a 350 billion gallon global market, with the vast majority of gas pumped being E10. “You’ve got all this potential out there. If you got the rest of the world up to E10, that would be a 13 billion-gallon increase in demand. That’s a big deal,” Willis said. Willis reports that China plans to add four billion gallons of ethanol use in the next ten years to get its gasoline pool up to 10 percent biofuels. Brazil plans to reduce the carbon intensity of its transport fuels by ten percent in the next ten years, which would add five billion gallons of ethanol use. Canada is working on a renewable fuels standard that will settle on E10. They blend five percent currently, so this move would add almost 1.5 billion gallons of ethanol use. 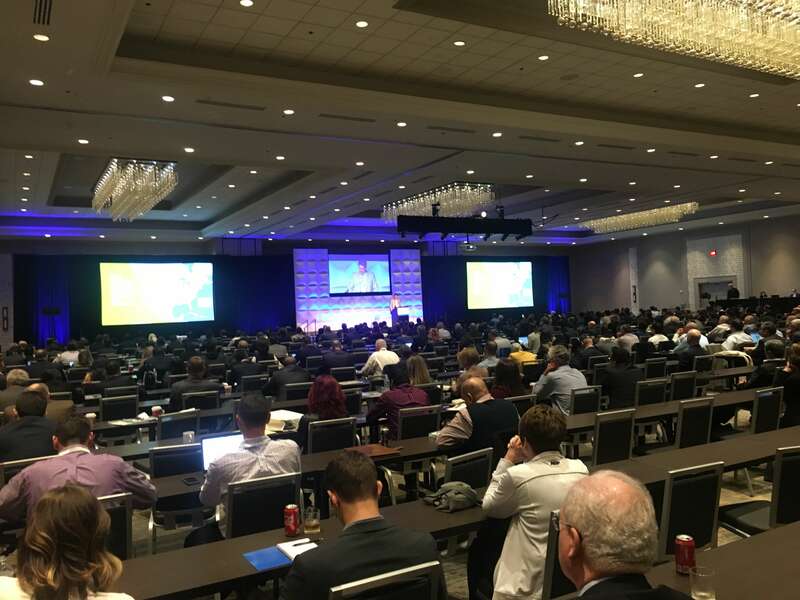 While growing ethanol use created buzz, Export Exchange 2018 also offered attendees an unparalleled opportunity to meet and build relationships with domestic suppliers of corn, distiller’s dried grains (DDGS), sorghum, barley and other commodities. As an executive sponsor, MCGA had the opportunity to promote our state’s corn farmers and their commodity to a global audience.